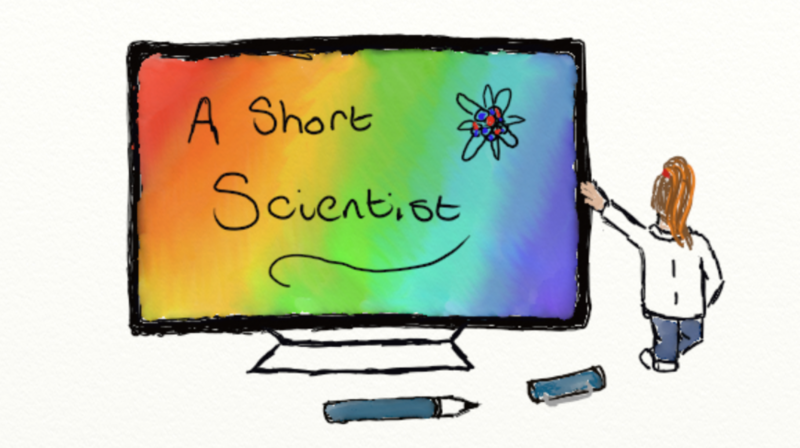 Christmas is around the corner so here is the AShortScientist Festive Series. First up, we’re talking about Scrumptious Science. Is there a scientific formula for the perfect Christmas dinner? What do astronauts have for Christmas? And, what happens to our bodies after that hefty Christmas lunch? Let’s start with a bit of chemistry: the Maillard reaction, the science behind cooking your Christmas dinner. This involves the reactions that take place between amino acids/proteins and sugars in our food when it is cooked, giving a golden brown glow to roasted and toasted foods. This reaction also plays a role in flavours created, including the distinctive taste and smell of different coffee beans; it all depends on the roasting conditions. The video below gives a great overview of the reaction. Everyone has their favourite parts of a Christmas dinner. Personally, I love stuffing and can’t stand sprouts, but what makes the perfect Christmas dinner, is there a formula? Psychologists, Dr David Lewis and Dr Margaret Yufera-Leitch, have suggested that the perfect meal would include a mixture of protein, amino acids, carbohydrates and vitamins, leaving your guests satisfied, not stuffed. Apparently, the ideal Christmas meal would include the following: 150g white roast turkey meat, 110g chestnut stuffing, 100g gravy, 155g steamed sprouts, 170g carrots and 150g of red cabbage, followed by Christmas pudding, a mince pie and a clementine for dessert [SOURCE]. How did they arrive at this conclusion, and where are the roast potatoes and pigs in blankets I hear you cry!? Researchers used knowledge of a branch of food science called Sensory-Specific Satiety which refers to a decline in satisfaction which occurs when consuming of a certain type of food, and the renewal in appetite when faced with a new flavour or food. Simply put, the more variety we have on our plates, the more we will want to try despite being full. The psychologists state these suggested foods will regulate digestion and stabilise insulin levels, protecting from heart disease and stroke. This all sounds great, but it wouldn’t be Christmas without eating enough potatoes to burst and subsequently spending the afternoon dozing on the sofa. Once we’ve consumed the barrage of food we usually do during Christmas dinner, what happens to our bodies after over indulging? A recent study in South Africa suggests that one standard Christmas dinner is enough to fuel a 1.7 DAY hike in the Himalayas!! If you have alcohol with your dinner, it is rapidly absorbed into your bloodstream and you begin to feel the effects 5-10 mins after your first swig. Alcohol brings a warm feeling because alcohol dilates your blood vessels (i.e. widens them, increasing blood flow). What about our stomachs? The average stomach can hold about a litre, but it can take 20 mins before your brain gets the ‘I’m full’ signal; problematic if you scoff your dinner in 10 minutes and then go for seconds. If you eat and drink very quickly, you may notice that you burp more because you have swallowed more air in the process. How come we feel tired after a meal? Food increases our blood sugar levels and as a response, our pancreas produces a hormone (i.e. insulin). Insulin converts glucose (i.e. sugar) into a storable form (i.e. glycogen) which causes a drop in our blood sugar, making you feel tired. Unfortunately, the heavier and richer your meal, the worse you’re going to feel. Heavy foods can sit in your stomach for 2-3 hours, making you feel very bloated. This can trigger ‘bottom burps’ (as my mum used to call them) as our bodies can’t deal with the influx of food not being digested fast enough; Brussels sprouts are a culprit. What about astronauts, what will they eat for Christmas? On Christmas day this year, there will be 3 people on board the international space station (ISS). Although they are far away from their families this festive season, fear not, the SpaceX program (founded by Elon Musk) has ensured that they won’t go without a Christmas dinner. The Dragon capsule was delivered to the ISS on Wednesday 5th December and carried 5,000lbs of equipment for the station, mice and worms for experiments, and of course, their Christmas dinner. Even astronauts want a few home comforts. Their festive food includes: smoked turkey, green bean casserole, candied yams, cranberry sauce, fruitcake, shortbread and butter cookies, with tubes of icing for decorating them, themselves! SpaceX has been making deliveries for NASA to the ISS for 8 years now, this being the 16th trip. Here is a link from the SpaceX website showing the launch and capture of the Dragon capsule (it is 3 hours long so maybe just skim through it). Enjoy your Christmas dinners, overindulge if you wish, and make the most of your time with family and loved ones. You can inform your relatives that those ‘bottom burps’ cannot be helped after one too many sprouts. Next PostNext Festive Series: Christmas Science! Enter your email address to follow AShortScientist and receive notifications of new posts by email.